November 17th: National Unfriend Day. Get rid of fake friends on Facebook! When talking about friendship, it is very common to hear phrases such as ‘you can count your true friends on one hand’, meaning that we may have many acquaintances but only a few real friends, or ‘a friend in need is a friend indeed’, meaning that a true friend is someone who helps you when you need it. However, since the Facebook phenomenon started, many people are ‘friends’ with people they hardly even know, and are proud of having a thousand ‘friends’ on this social network. According to the American television host Jimmy Kimmel, friendship is a sacred thing, and Facebook is cheapening it, so he has started a movement to declare November 17th as the National Unfriend Day. 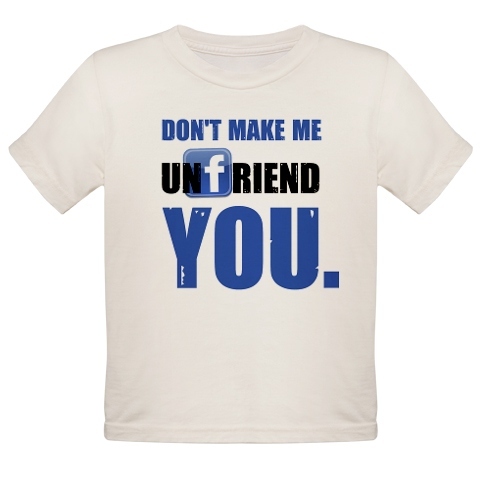 On November 17th, you must ‘unfriend’ or get rid of those Facebook friends that you don’t know or you don’t like, for example, those who bombard you with quizzes and invitations, or post status updates about everything they’re doing. But how can you distinguish between real and fake friends? Jimmy Kimmel suggests a both easy and effective method to find out: post a status update that says ‘I’m moving this weekend and I need help’. The people who respond are your friends, everyone else isn’t! And if this isn’t enough to persuade you to significantly reduce your friend list on Facebook, maybe Burger King can help you make a decision: they offer you a free Whopper if you unfriend 10 people on Facebook. So, if you’re fed up with receiving stupid status updates, invitations to Farmville or Happy Aquarium, or quizzes to find out what Twilight character you are, November 17th is your day: Unfriend Day. Spread the word! This entry was posted in Celebrations, What's hot?. Bookmark the permalink.